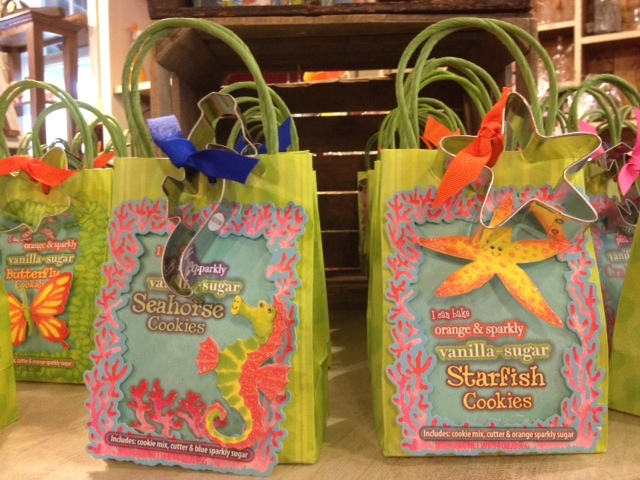 These fun gift bags by Pelican Bay are so much fun! Your guests will love them. These Red, White and Blue Chocolate Dipped Strawberries incorporate both the colors of the 4th of July holiday and fresh, in-season strawberries. 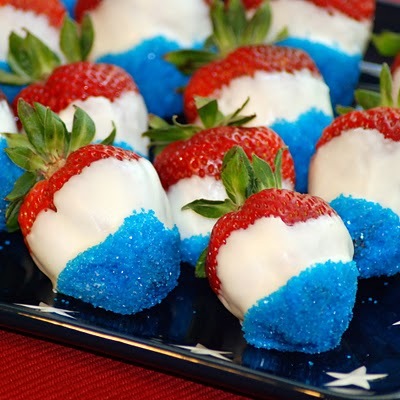 They look extremely patriotic, as far as strawberries go, and taste like summer. Just like any other chocolate-dipped strawberries, the method for making these is very easy. There is only one additional step: dip the tips of the strawberries into some blue sprinkles or blue sanding sugar once they have been dipped into the chocolate. Blue sprinkles or jimmies have a bold color to them and look cute on the strawberries, but blue sanding sugar, which I used for the strawberries here, gives the berries a little bit of a sparkle. The color of the sprinkles will not stand out well on milk or dark chocolate, and you won’t get the same visual effect as you do with white chocolate. That said, if you really want to incorporate milk or dark chocolate, just double dip the berries first into the chocolate of your choice, let that layer set up, and continue on with the white chocolate and sprinkles. Store the berries in the refrigerator until you’re ready to eat them, as white chocolate is a little more heat-sensitive than other chocolates. The berries are best within a day or two of being made. 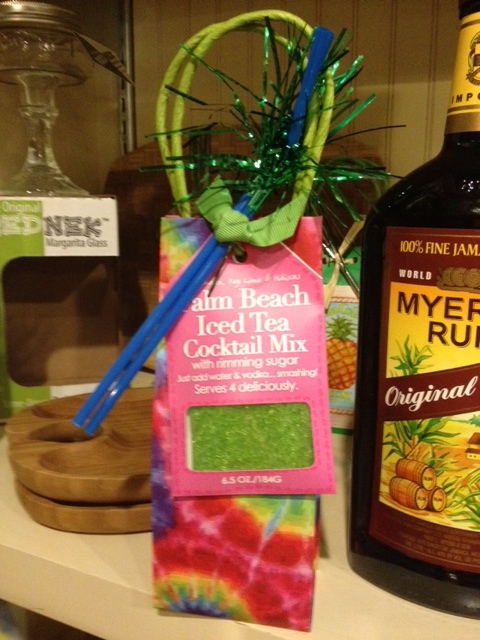 Line a baking sheet or cutting board with wax paper or parchment paper. Chop up the chocolate roughly with a knife if it is in block form. In a medium-sized, microwave safe bowl, melt the chocolate in the microwave. Heat it in 45 or 60-second intervals, stirring between each time to ensure that the chocolate is melting evenly and not burning. Meanwhile, place blue sanding sugar into a small bowl and set it aside. When chocolate is smooth, dip the berries 3/4 of the way into the chocolate, dip the tips into the blue sprinkles, and place on wax paper. Berries can set at room temperature if you live somewhere cool, otherwise refrigerate them until ready to serve to allow the chocolate to set up. My husband and I just got back from San Diego, California. 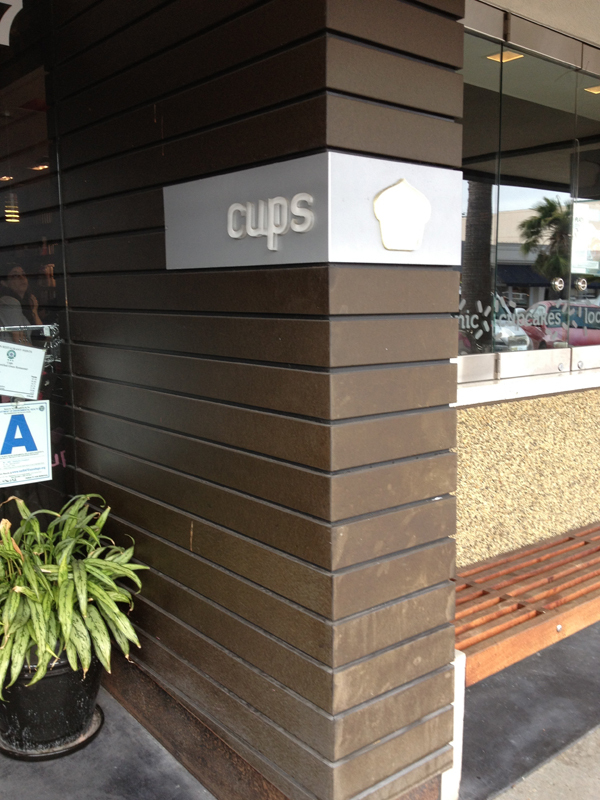 While there, I ventured out and found a great cupcake place called ‘Cups’. 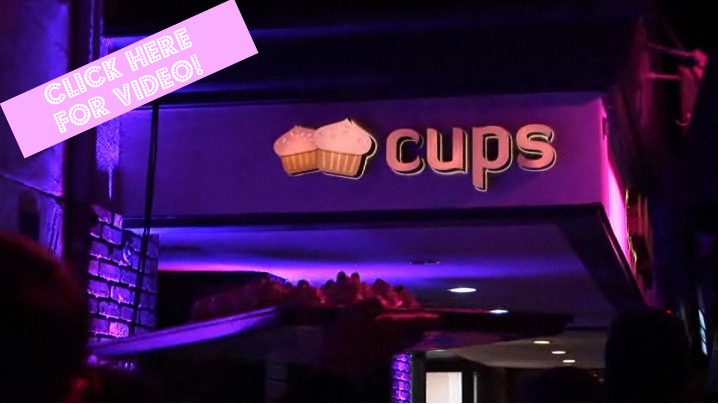 Cups is an organic cupcake bakery in La Jolla, California. 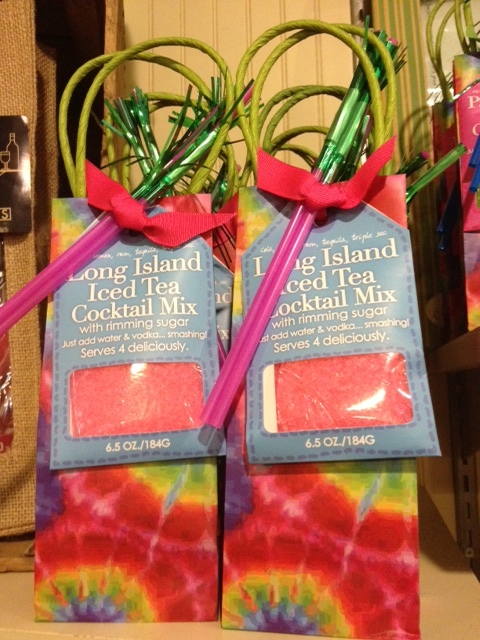 Everything they make, from cupcakes to drinks, are made in house with high quality, local, organic products. Not only do they sell full size cupcakes, but they also offer mini cupcakes everyday. I bought 4 different flavors; perfect price and size to not feel guilty about trying more than one! 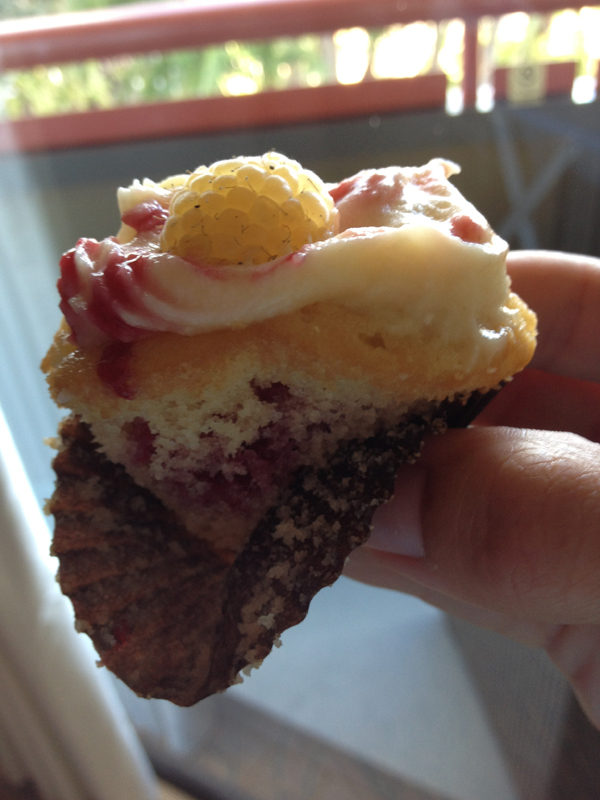 Below, is a picture of the summer berry cupcake that had a fruit filling. It was yummy! Aside from their tasty treats, their lounge is very hip and fun, making a trip for cupcakes friendly for all ages. Check out their Grand Opening video by clicking on the image below. Meet Baby Max! People’s June 11th issue has exclusive first photos and an interview of Jessica Simpson and her new baby Maxwell. Receiving this issue in the mail the other day reminded me of Jessica’s and my baby shower. 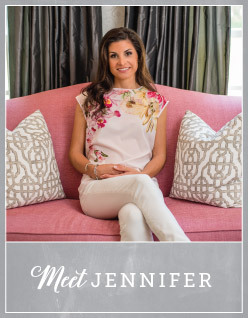 Celebrity event planner Mindy Weiss planned a Charlotte’s Web themed shower for Jessica and her fiance. 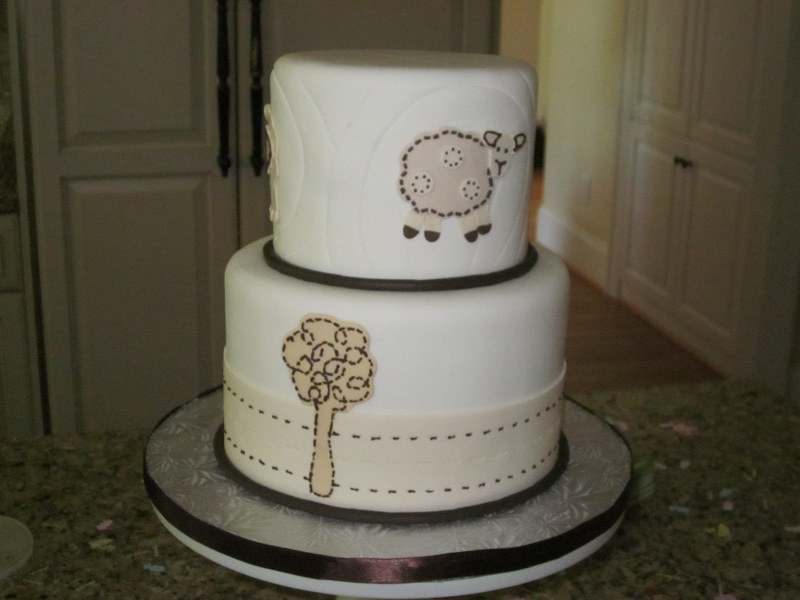 Her invitation was a Charlotte’s Web themed card with a white picket fence that opened to the wording. 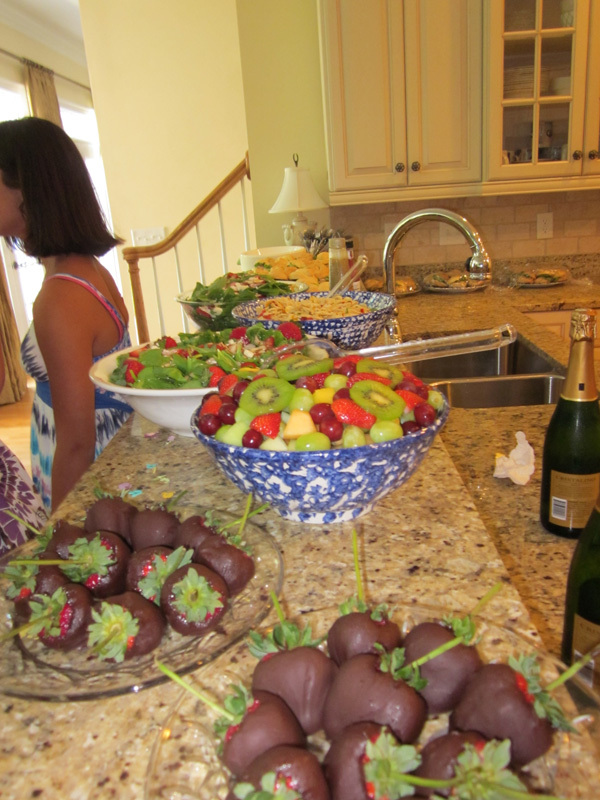 Guests indulged in Southern treats like fried chicken and mac and cheese. The party favors were lollipops tagged with the message: “Thanks for celebrating with the new mom & POP!” Since her fiance was present at the shower I thought this was a very clever idea. Throughout college I babysat for a family with 5 children and became very close with them. 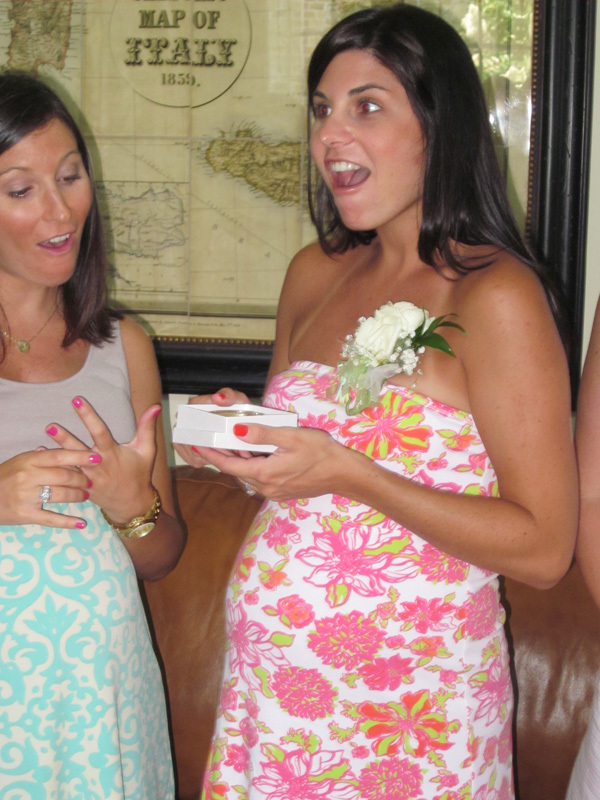 When I told them I was expecting, the Mom, Susie, mentioned she wanted to host my baby shower in her home in Wilmington, NC. Since we were going to be surprised with what we were having, my shower was gender neutral. 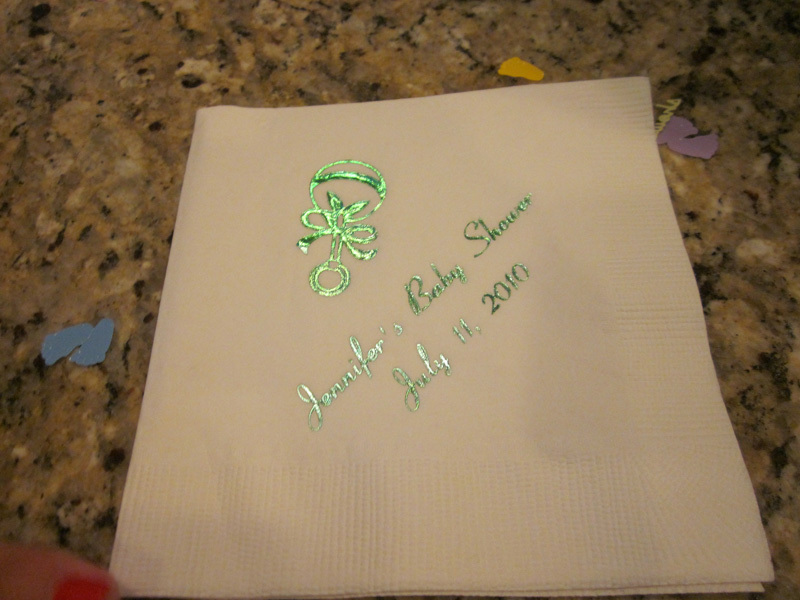 Susie had personalized cocktail napkins made with my name and date. 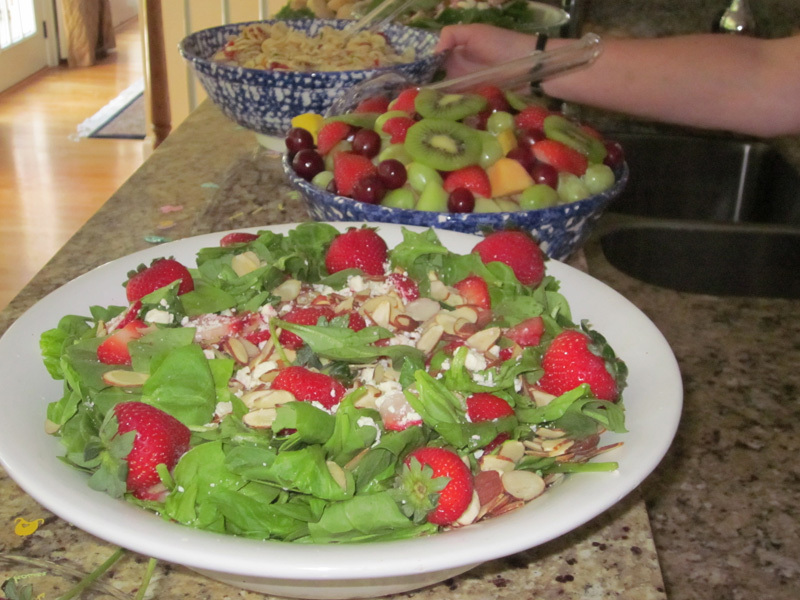 The food was catered by Fresh Market. Flower and Flour made my cake and designed it to match my bedding. 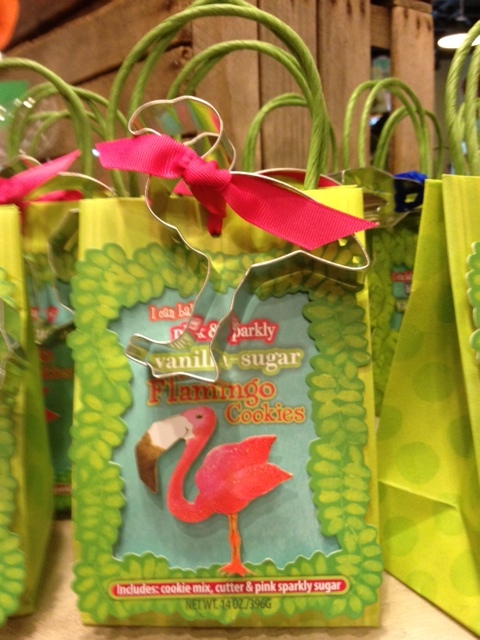 During my shower, we played several games and prizes were Lilly Pulitzer accessories. I was so excited when I was given a pretty pink bracelet that ironically matched my dress perfectly! Below are a few pictures from my shower.